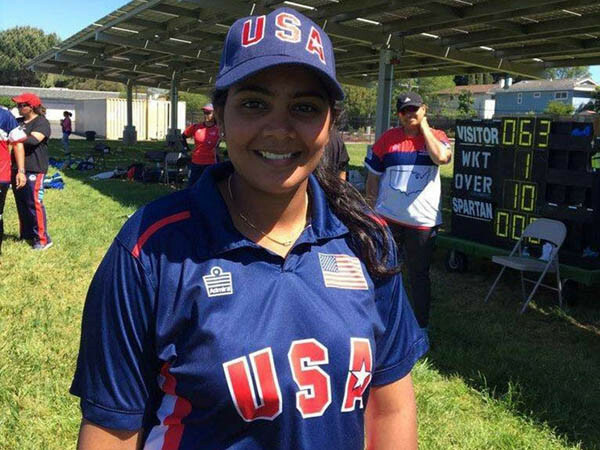 Telangana’s Sindhuja Reddy has been selected as a member of the US women’s national cricket team. The 26-year-old from Amangal village in Nalgonda district will be part of the team going to participate in the World T20 Qualifiers in Scotland in August. The wicketkeeper-batswoman, who had played for Hyderabad in Ranji Trophy, is hoping to be a member of the US team in the ICC World Cup in 2020. Sindhuja, who did her schooling here, also captained Hyderabad’s under-19 cricket team. She studied B. Tech and MBA before moving to the US after her marriage to Siddhartha Reddy. The opening batswoman, who had almost given up cricket, found a new opportunity in the US to re-launch her cricketing career. Playing for local clubs, she impressed the selectors with her skills both as a batswoman and a wicket-keeper. Sindhuja’s parents were elated on learning about her selection for the US team. Her father Spurdhar Reddy recalled that she had keen interest in the game since her childhood and had played for her school team. Her mother Lakshmi Reddy said she continued her struggle even after marriage to carve out a niche for herself. Next articleTrump meets Modi: budding romance or one-night stand?